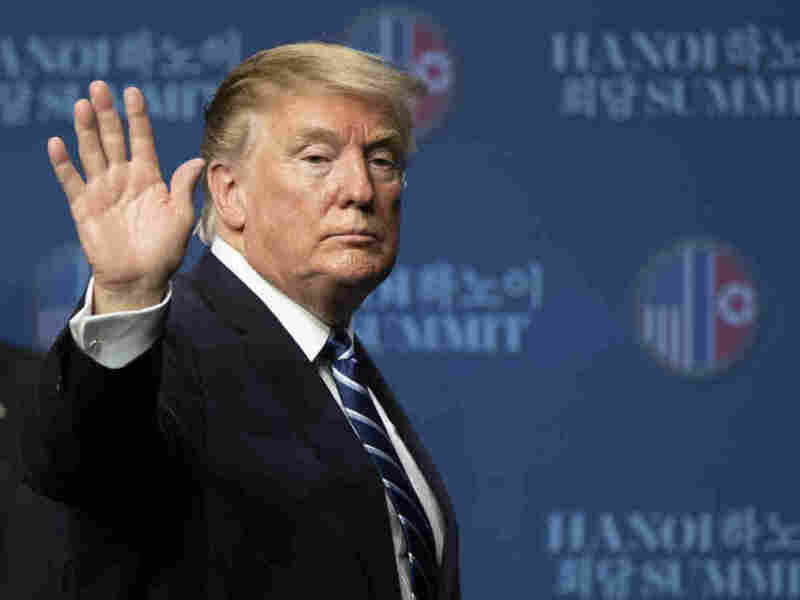 Opinion: Trump Just Walked Away From The Best North Korea Deal He'll Ever Get Though hardly what the president had hoped for, the agreement on offer would have been a step away from the taunts and threats of 2017 and should have been taken, writes nuclear expert Jeffrey Lewis. President Trump attends a news conference following his summit meeting with North Korean leader Kim Jong Un on Thursday. Jeffrey Lewis (@ArmsControlWonk) is a scholar at the Middlebury Institute of International Studies at Monterey and author of a novel about how a nuclear war with North Korea might begin, The 2020 Commission Report on the North Korean Nuclear Attacks Against the United States. A bipartisan consensus seems to be forming that President Trump was right to walk away from the deal offered by Kim Jong Un at the two leaders' summit in Hanoi, Vietnam. The consensus is a strange one, given that the deal itself was exactly the same as what had been reported to be North Korea's position heading into the negotiation, a position that many commentators had praised. North Korea would offer to shut down facilities at its Yongbyon Nuclear Research Center that were involved in making plutonium and highly enriched uranium for nuclear weapons. In exchange, North Korea asked the United States to lift sanctions that had been imposed on its civilian economy since 2016. The U.S. position — that North Korea must unilaterally abandon its nuclear capabilities in exchange for promises of some different future — is a kind of American fantasy about power that is more suited to an action movie than the reality of international negotiations. "Testing was part of a process of developing nuclear weapons, and the weapons themselves need to be on the table," the official explained. "It's not the testing of the weapons; it's the actual presence of the nuclear weapons — and, by the way, likewise in the case of missile testing, the ICBMs as well that are central to this discussion." 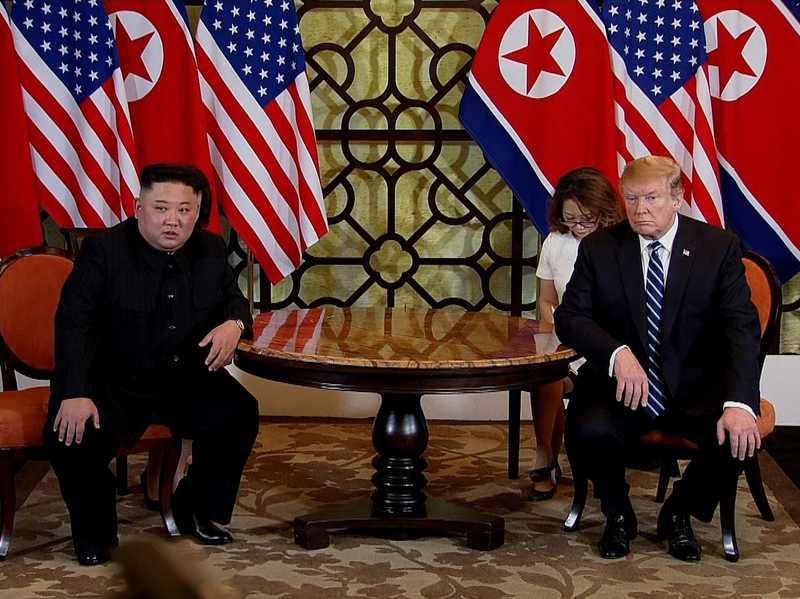 North Korean leader Kim Jong Un and President Trump, shown in a handout photo provided by the Vietnam News Agency, meet at the Sofitel Legend Metropole hotel on Thursday in Hanoi, Vietnam. Let's be clear: During 2017, North Korea tested a series of new missiles, including two different intercontinental ballistic missiles (ICBMs) that can reach the United States. One of those missiles, the Hwasong-15, can deliver a nuclear-weapon-size payload all the way to Mar-a-Lago. Like a gambler racking up debt, the U.S. foreign policy community has consistently taken its chances at the roulette table rather than cutting its losses and admitting the obvious: North Korea has the bomb. North Korea also tested a thermonuclear weapon that exploded with a force 10 times stronger than the bombs dropped on Hiroshima and Nagasaki. By any measure, North Korea's leverage over the course of 2017 increased dramatically as it acquired the ability to grievously harm the United States. We can be angry about this, but our rage is impotent. Attempting to remove Kim from power as we did with Saddam Hussein or Moammar Gadhafi would be sheer madness. And so, why would the United States expect North Korea to willingly trade away that advantage in its entirety? Why would North Korea, having completed the development of a nuclear deterrent that puts it in a class with countries like China, India, Pakistan and Israel, simply apologize and turn over these capabilities in exchange for a couple of McDonald's and a Trump Tower Pyongyang? It is obvious, or it should be, that North Korea has a strong hand to play. Why is that so hard to see from inside the Beltway? I suspect that part of the problem has to do with a kind of embarrassment. Time and again, the United States has walked away from diplomatic agreements with North Korea. In fairness, the North Koreans have been no angels. But the U.S. has seldom stuck around long enough to work through the difficulties and differences. Each time, North Korea has increased its nuclear capability. In 2002, the United States walked away from the 1994 Agreed Framework that froze North Korea's plutonium production, only to see North Korea conduct its first nuclear test in 2006. The United States tried again but abandoned Six-Party Talks in 2008 over concerns about verification, only to watch North Korea conduct more nuclear tests. And in 2012, the U.S. walked away from another tentative deal over a North Korean rocket launch, only to see Pyongyang spend the past few years testing ever more weapons, including its ICBM and thermonuclear weapon to arm it. But that's apparently the one thing that remains taboo in Washington. Even now, the United States cannot recognize what seems pretty obvious. We can't admit failure because it requires not merely changing our policy but admitting that we've been wrong. It's far easier to pretend that a better deal is just around the corner. It isn't.